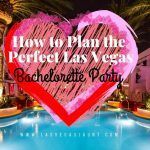 Before you leave for Las Vegas, plan ahead! 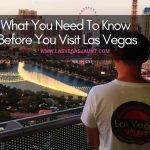 With so much to see and do in Las Vegas, it’s hard to know where to visit, and what to avoid, especially if your vacation time is limited. However, in a two day period, you can certainly get a gist of the city that never ceases to amaze. Here we have created a bucket list for those sights and adventures that must be seen and experienced, and those that you can save for next time or avoid altogether. ● Walk The Strip – First things first. When traveling to Las Vegas for the first time, it’s important to get an overview of the city. And what better way to do this that to take a walk along the infamous Las Vegas Strip? With so much to see, and people watching galore, you won’t get bored even if you manage to walk just a few blocks. A good starting point is the world famous “Welcome to Las Vegas Nevada” sign that was created in 1959. Take your photo in front of this icon which is located near Mandalay Bay on Las Vegas Boulevard. BEWARE! There are no official photographers employed by the city to take your photos, despite the “credentials” these scammers wear. Don’t pay for any photo! Also, keep in mind the Strip is over four miles, so if you choose to walk its entire length, wear comfortable shoes and avoid during mid-day especially during the hot summer months. 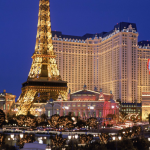 The Strip is where you will find some of the most iconic hotels, including the Bellagio, Caesar’s Palace, The Paris and MGM Grand. ● The Fountains At Bellagio – The massive fountains at one of Las Vegas’ truly most spectacular hotels, is a sight to be seen. During the evening, every 15 to 30 minutes, enjoy a complimentary fountain and light show choreographed to music. Truly remarkable and well worth waiting to see. On a side note, while at the Bellagio, go inside and see the beautifully designed Bellagio Gardens that is masterfully decorated to highlight each season. 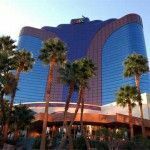 ● Enjoy a Buffet – Las Vegas is well known for their over the top buffets. While the prices are no longer as affordable as they once were, you can certainly find one to fit your budget. Whether you decide to indulge at The Wynn’s breakfast buffet with their chocolate fountain, or the Wicked Spoon at the Cosmopolitan, or a more cost friendly buffet at the Ports O’ Call at The Gold Coast, come hungry as you won’t be disappointed by the food choices. ● Gamble – Las Vegas is the gambling mecca for professionals and novices alike. Whether you enjoy the penny slots or are a seasoned poker player, no trip is a complete without trying to go home with a little extra money. 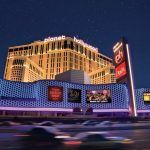 Most hotels offer free gaming lessons, such as the Park MGM and the Tropicana. So roll the dice or play a little Keno while enjoying a drink at the lounge, but remember, stay within your budget. They don’t call Las Vegas “Lost Wages” for nothing. ● Stratosphere – See Las Vegas from its highest point! The Stratosphere offers an observation deck, roller coaster, and more thrilling rides all while enjoying captivating views. The best time to view of course, is at night, when the town is at its best. 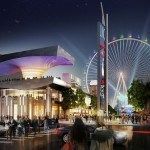 An excellent alternative is the High Roller Observation Wheel, currently the world’s largest ferris wheel and located at the LINQ. These sites give a whole new perspective to this one of a kind city. ● Shopping – The Venetian as well as Caesar’s Palace are two well known and popular shopping destinations for first time visitors. With an abundance of stores, mostly high end, The Grand Canal Shops at The Venetian includes cobblestone walkways, world class restaurants and the piece de resistance, authentic Italian gondolas rides through the Grand Canal. Caesar’s Forum Shops is connected to the hotel and offers ancient Roman streets, talking statues, exotic fish aquariums, top dining experiences and a nice variety of popular boutiques and stores. ● Show – What is Las Vegas without seeing a show? Whether it’s sitting front row at one of the many popular headliners, or watching one of the kitschy musicals or comedy acts at one of the smaller venues, this is a must and a great way to spend a few hours before heading out to enjoy Vegas after midnight! ● Pool Party – Depending on what time of year you visit Las Vegas, one of the pleasures of staying along the Strip is spending time soaking in the summer sun poolside. Most of the well known hotels offer cabanas, entertainment, lots of bars, and a host of other activities to keep your mind off the heat. Of course, for a more serene experience, smaller boutique hotels offer a more relaxing atmosphere. ● Red Rock – Located just about 15 minutes from the Strip, Red Rock offers a stark contrast from the bright lights of Las Vegas. Here you will discover gorgeous desert beauty, stunning red rocks and a tranquil spot to hike and rejuvenate. Truly beautiful and breathtaking. Some word of advice when visiting Las Vegas for the first time and staying over for just a couple of nights: Try to resist visiting every casino. Pick out the hotels that are a must see, and plan the rest of your trip around these locations. 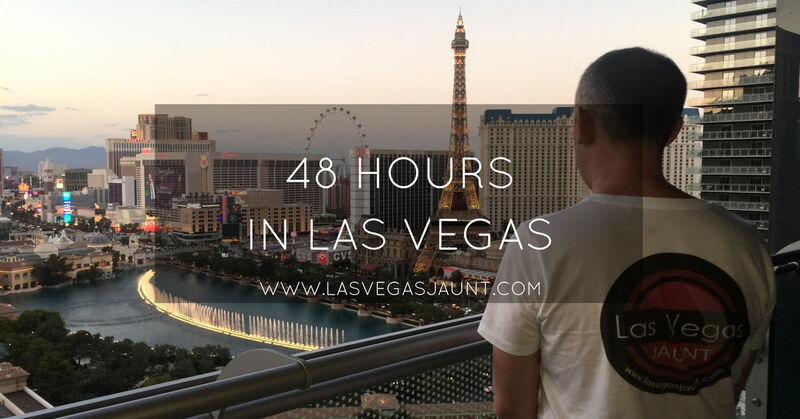 There are simply not enough hours in a day to visit even a handful, let alone the 20 or so mega hotels on the Strip. For example, the MGM Grand is huge and a GPS system is practically needed to venture around the imposing casino. Circus Circus is where kids go and play and it can be overwhelming. Decide what’s important, and save the rest for next time. ● Eiffel Tower at Paris Hotel: If you think you will see great, unobstructed views of the Strip, think again. ● Driving your own car: Traffic along Las Vegas Blvd is a nightmare even during the off hours. Getting from one end of the Strip to the other can take well over an hour or more for a simple four mile ride. Also since 2016 most strip resort are now charging for parking! Take a cab or a uber whenever possible. ● Standing in line for discount tickets: Don’t spend the short amount of time you have in Las Vegas standing in line for discounted show tickets. You will often find cheaper tickets and a wider selection online. ● Timeshare/Vendors – In general, avoid spending even one minute talking to those offering “one of a kind, great deal, act now” timeshare representatives. They will promise the moon, including free shows, or restaurant vouchers in order to take up your valuable time. ● Hoover Dam/Grand Canyon: Unless these side trips are critical, it’s best to save when you have more time while in Las Vegas. While tour buses can get you back from the South Rim of the Grand Canyon in one day, it is on average ten hours spent on the road. Hoover Dam is more manageable at only 35 miles from the Strip, but plan to devote a good five to six hours, or longer, especially with the traffic. If your schedule is limited, you may want to plan visiting these incredible sights when you are truly able to experience and enjoy. Simply said, before you leave for Las Vegas, plan ahead. Make reservations for those destinations that are a must see, avoid peak times for visiting popular attractions, and be flexible for those spontaneous sites that look like fun to see.